Our New Showroom offers a pleasant shopping experience with a variety of Glass and Mirror for the home to include: custom cut glass for furniture , kitchen, glass accent shelving, shower enclosures, specialty glass. 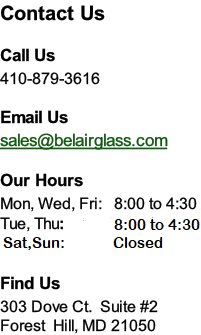 Our repair center can remake that broken window or patio door. 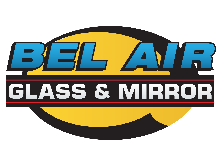 We can repair or fix most anything that requires glass or mirror.